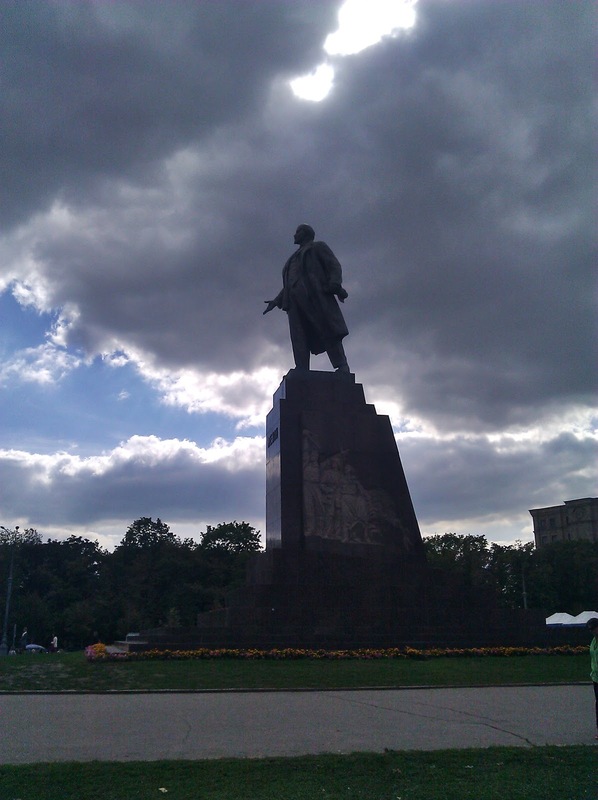 At one end of Freedom Square in Kharkiv you'll find a large statue of Lenin. I haven't seen all of Kharkiv but I doubt there are few more striking and memorable sites in the city. Freedom Square has a long history, first as Dzerzhinsky Square [Felix Dzerzhinsky was the founder of the Bolshevik secret police] and it was finally named Freedom Square after Ukrainian independence in 1991. On the opposite end of the square from Lenin political groups regularly rally around lunch time each day waving flags which is a nice reminder of political freedom each time we walk by.